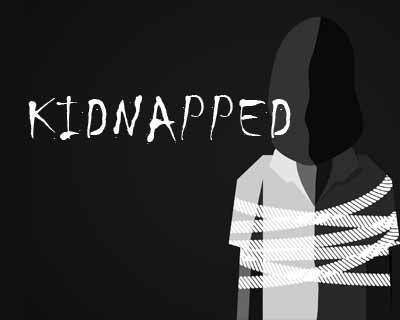 Gurugram: An MMA (Mixed Martial Arts) fighter has been arrested on the grounds of allegedly abducting a 30 year old doctor and extracting a ransom of Rs 55 lakh. The doctor was released after the “gang” with which the fighter was purportedly associated; collected the ransom amount from his father, also doctor. The case concerned a father-son duo of doctors who own two hospitals in the area, one in Rewari and another in Gurugram. According to a recent media report on the case, the fighter, Amitesh Chaubey, allegedly committed the crime so as to fund a movie that would cast him as a lead. He is a wannabe actor, previously known as an aggressive fighter for UP Terminators, owned by Bollywood singer Kanika Kapoor, at the Super Boxing League in 2017 season. The incident came to light when the father filed a complaint at Civil Lines police station, against which an FIR has been registered against unidentified persons under sections 364A (Kidnapping for Ransom) and 34 (Common Intention) of IPC. According to the FIR, the doctor along with his son would travel daily to their Rewari branch of the hospital. On March 16, his son went missing on way back to home and his phone was switched off. The doctor called the police, reports Tribune. “When he did not reach home till 10.30 pm we got scared. We verbally informed the police. It was post-midnight that we got a ransom call on WhatsApp. Scared for my son’s life I gave them Rs 55 lakh near Kundli on GT road on March 17 and got my son back,” read the doctor’s complaint. The doctor further informed about the previous threats that they had received from the gang. In December last year, the “Kaushal gang”, as per TOI, had open fired at the doctors, seeking protection money. Speaking to News 18, K K Rao, Inspector General of Police (IG), STF, informed that they arrested the accused men from the city on March 27 and recovered the ransom amount from their possession. He added that the victim’s car has also been recovered from Nehru Place in Delhi where it was dumped. “The gang was arrested from different locations. It is involved in several cases and Chaubey was part of the gang,” IG Rao said. Police in Lucknow informed that Chaubey was arrested from his Jankipuram house there. According to the report, Chaubey has participated in the Super Boxing League, acted in a Bhojpuri film, and recently directed a short film, informed IG Rao. The police told News 18 that he wanted money to make a big film and cast himself as the lead. After hearing the news of his arrest, Douglas Shepherd, the coach who trained Chaubey at the KD Singh ‘Babu’ Stadium and 11 Gorkha Regiment Centre, said he is not surprised at all.